How far would you travel to help someone see? For Ben Roberts, M.D., that answer is simple — Kenya. Since 2006, Roberts and his family have served as medical missionaries at Tenwek Hospital in Bomet, Kenya. The Roberts family lives there for four years, then spends one year in the United States. Back in Alabama now, in August they begin their third stint in Kenya. Roberts graduated from the UAB School of Medicine and did residency training in the Department of Ophthalmology. He began working as a staff vitreoretinal surgeon at Retina Consultants of Alabama following completion of his fellowship training in 2005. RCA is located in UAB’s Callahan Eye Hospital. During his fourth year as a medical student, Roberts did a rotation at Tenwek. “My wife and I knew after a month of being there that it was where we wanted to be,” Roberts said. Tenwek Hospital, one of the largest mission hospitals in Africa, was founded in 1937 by World Gospel Mission missionaries and has since grown to be a leading provider of quality health care and medical education in western Kenya. It is a nonprofit hospital functioning under the leadership of Africa Gospel Church in partnership with World Gospel Mission. Tenwek is a 300-bed teaching hospital with a wide range of surgical, medical, maternity and pediatric services. It provides primary health care to 600,000 people within a 32-kilometer radius and serves as a referral center for a much larger region. When Roberts performs surgery, he does so with few resources and a small staff. His team of physician’s assistants, nurses and local volunteers sees approximately 16,000 patients per year and performs 2,600 surgeries. Many are cataract surgeries; but he also performs glaucoma, retina, cornea, plastic and pediatric eye surgeries. One of the major challenges he faces is the lack of supplies at Tenwek. Mondays are typically busy clinic days, according to Roberts, because most patients are walk-ups and there are long lines of people waiting to be seen. Patients are screened, and those who have serious conditions are immediately admitted. Surgeries are performed Tuesday through Wednesday, and Fridays are reserved for mostly post-operation clinics. According to the World Health Organization, approximately 90 percent of visually impaired people live in developing countries like Kenya. 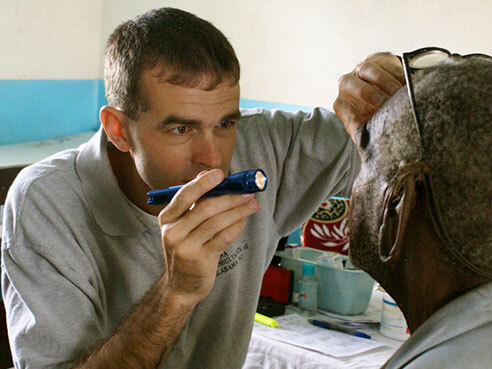 Because of the lack of eye care in Kenya, Roberts says he has seen things there that doctors usually don’t see in the United States. “People in that environment will sit at home and stay blind if it isn’t life-threatening,” Roberts said. 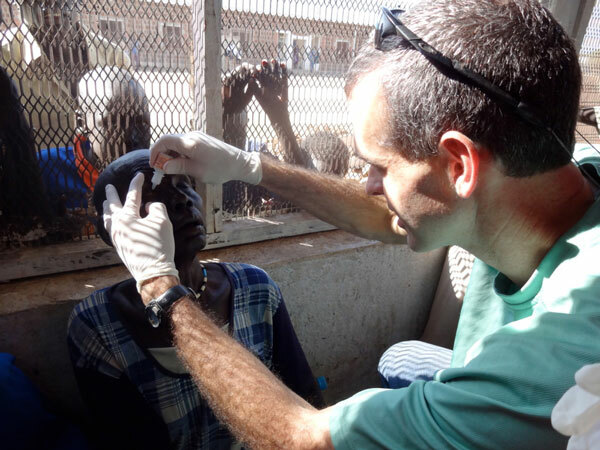 To remedy that, a few times a year, Roberts will take his team out into rural areas or neighboring South Sudan for a one-week traveling clinic performing 400 to 500 cataract surgeries. Roberts says his faith is the biggest driving force behind what he does. Since Tenwek is a Christian mission hospital, he says people know there is something different when they walk through the doors. Roberts says he and his team share stories from the Bible about restoration of vision and healing. 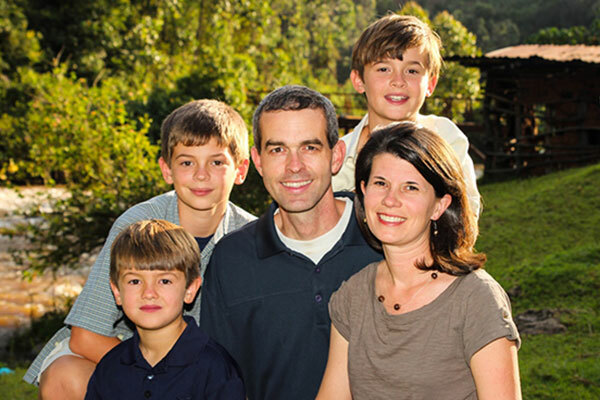 Roberts and his wife, Jenny, and sons, Luke, Nate and Isaac, spend a year back in Alabama between their four-year stints in Kenya. While in Birmingham, Roberts serves as a surgeon with RCA. “I’m very thankful to RCA and UAB for letting me work while I’m in the country,” he said. While World Gospel Mission sponsors Roberts and his family while in Kenya, he says many churches, both local and statewide, also provide support, including Briarwood Presbyterian Church and Shades Mountain Baptist Church in Birmingham. The Alabama Eye Bank has also supported Roberts and Tenwek since 2010, when he and his fellow surgeons began performing corneal transplants. 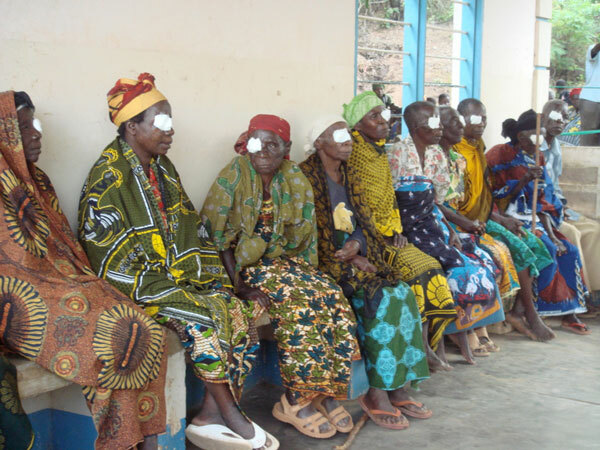 Tissue was needed because there is no viable eye bank in Kenya. The Andalusia, Alabama, native, his wife and three children will return to Kenya in August, and while they will always be from Alabama, they now consider Kenya to be home.